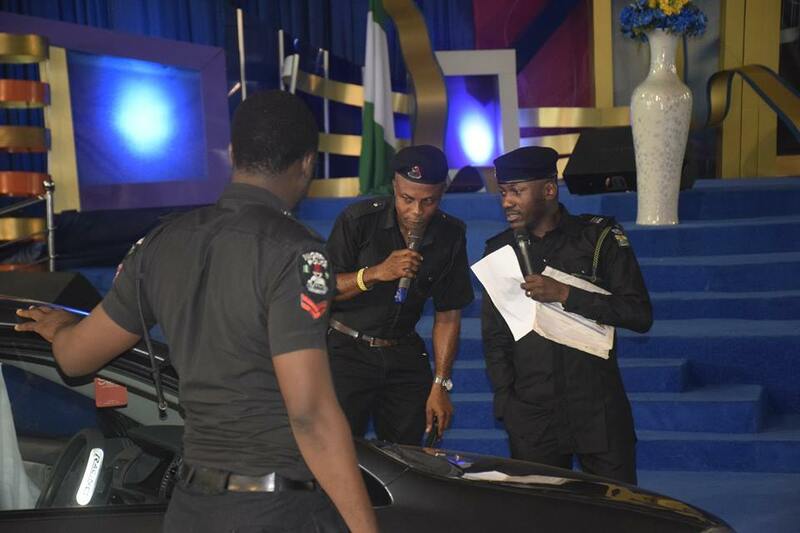 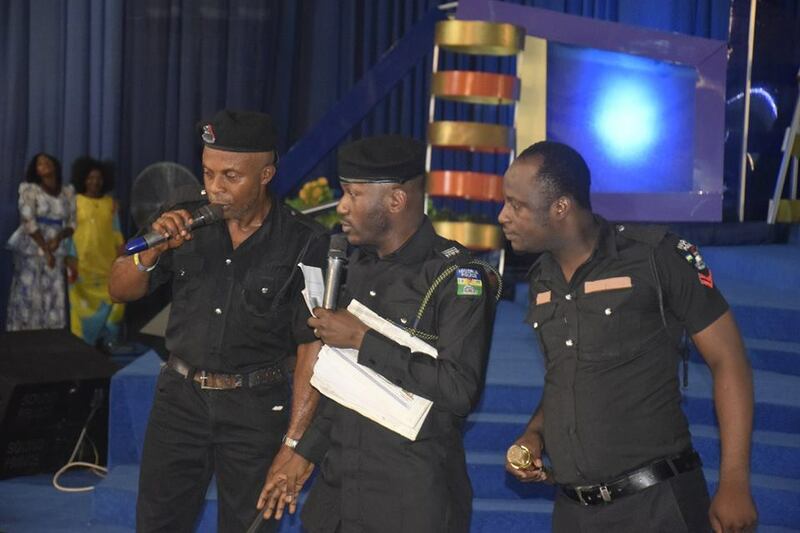 Senior Pastor of the Omega Fire Ministries Worldwide (OFM), Apostle Johnson Suleman, was seen wearing a police uniform during church service earlier today. 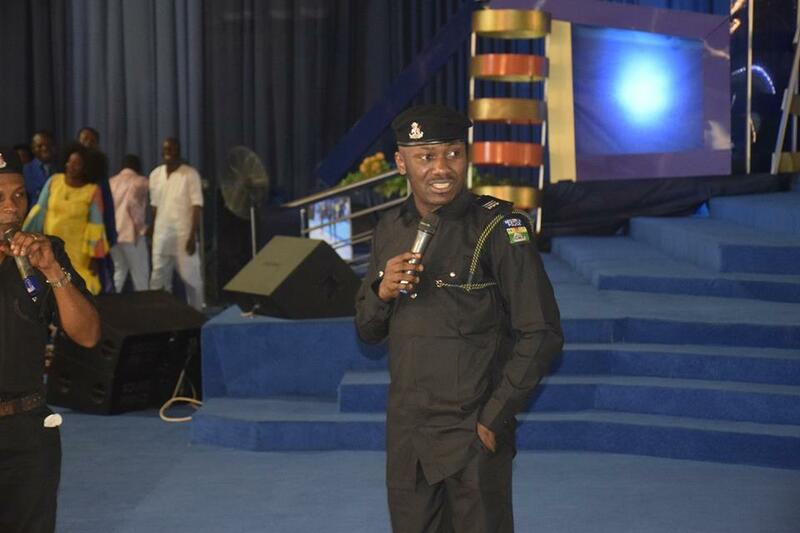 The pastor rocked the outfit during a presentation at the International Men’s Conference Thanksgiving Sunday Service. 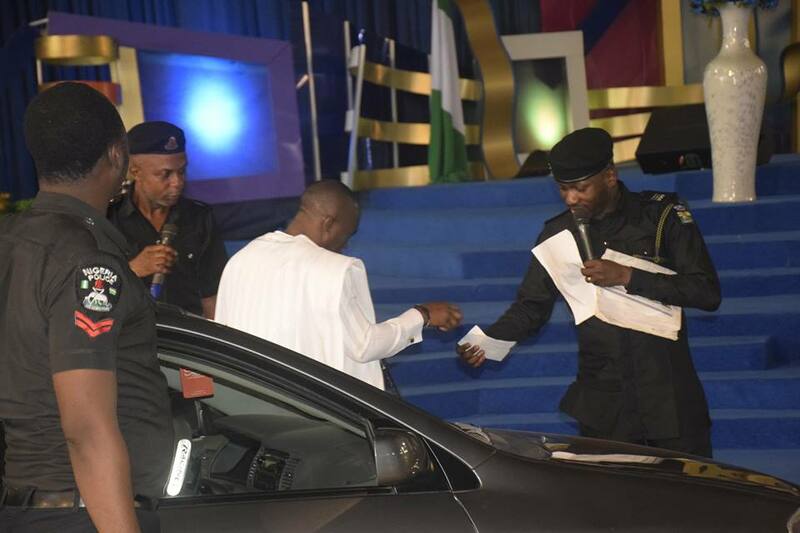 Many members were surprised to see their pastor wearing such an outfit.